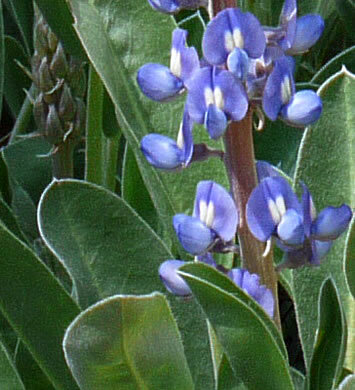 Your search found 2 image(s) of flowers of Lady Lupine and Sky-blue Lupine. 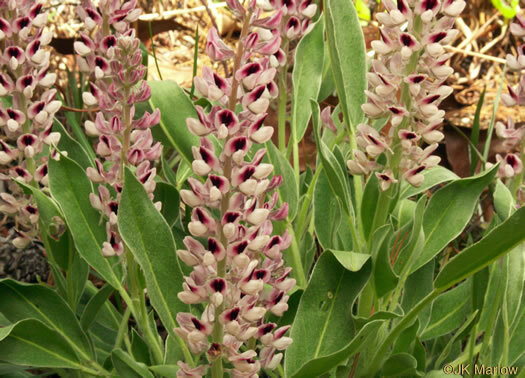 Standard with conspicuous white spot (vs. L. villosus' deep reddish purple), per Guide to the Wildflowers of SC. Standard with deep reddish purple spot, vs. diffusus' white-to-cream spot, per Wildflowers of the Carolina Lowcountry.